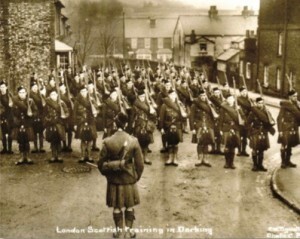 Dorking 1915. 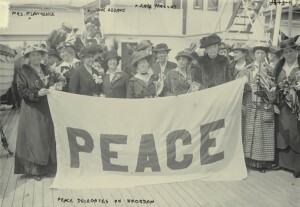 First World War Exhibition. The exhibition explores the impact on local life of the thousands of troops billeted here, the dilemma of patriotism, and pacifism, the move towards conscription, and the activities of objectors and peace campaigners. 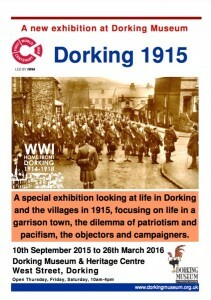 Special feature panels and displays tell the story of Dorking as a garrison town, and the changing patterns of recruitment. The panels also highlight the issues facing local groups and movements with particular features on the Quakers and suffragettes. Additional features around the Museum show how the War affected all aspects of town life. These men and women are featured on panels outside the Museum.